JavaFX Real-World application number four is called Caliop. 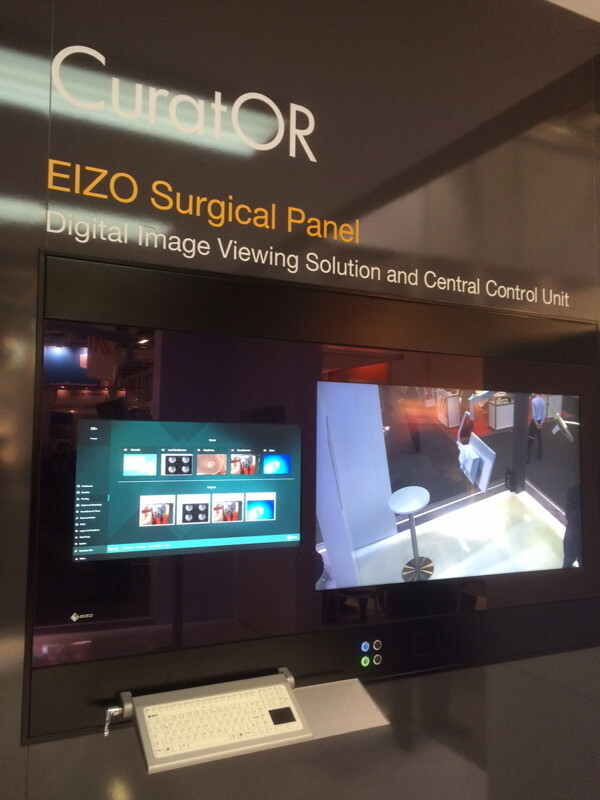 It is the frontend of the CuratOR solution developed by EIZO for operating rooms in hospitals. The frontend runs on wall-mounted consoles and allows the operating team to look up information about a patient, control the routing of various video sources to different monitors, record videos, take photos / stills. For this software I was asked to implement the UI in JavaFX based on an already very sophisticated HTML mockup. Even though the mockup made heavy use of animations and CSS styling it was a straight forward port to JavaFX. The following image shows the application in action at a trade show in Germany. As usual: here are the interview questions and answers. Facilitation of every day surgical workflows. We plan to go live by the end of 2015. Desktop technology with more options to control and develop on hardware (such as frame grabbers, streamers, video switches etc.). HTML / Web are more usable for mobile technology. Java FX offers very good results with small efforts. JavaFX gives also the offer to write intelligent code keyword data binding. Implementing animations is a whole lot easier in JavaFX than in Swing, but it still takes a lot of skill and dedication. Yes at this point just positive reflection from users and developers. High-level animation support. It should be easy to make menus slide in and out. It would be nice if you also ask JavaFX Real-World Apps creators about testing methods/tools they use and why they decided on them. This whole serie is a good overview of what tools / frameworks are production ready for starting new enterprise project.